Even though the sportpesa mega jackpot was cancelled ,we have deep post match analysis of the games that that were played . Welcome to our first ever Sportpesa Mega Jackpot post-match breakdown and analysis. We have combed through the entire fixtures just for you so seat back and enjoy. West Ham United crashed at the hands of Swansea City on Saturday, conceding a brace of goals in each half to allow the Swans to draw level with them on 30 points in the English Premier League table. We had gone for a Home win on this one as the Swans had beaten Liverpool as well as Arsenal on their hallowed grounds. Troy Deeney proved to be the match-winner in this feisty encounter when he was in place to profit from one of the few West Brom mistakes as the match looked certain to head for a stalemate. Grzegorz Krychowiak gave away the ball in midfield and Will Hughes played in the Watford captain, who coolly clipped the ball over Ben Foster in the 77th minute. Watford move into the top half of the table into ninth and continue their good progress under Javi Gracia with their next match set to be a trip up North London to face an Arsenal side that is as low on confidence as humanly possible. We had gone for a draw and it really was a very tight game with the one mistake in the game proving costly. Following a thorough pitch inspection in West London last Friday afternoon by match officials, this encounter had to be postponed due to weather conditions. Storm Emma has brought heavy snow and icy winds which have left the country battling to cope and thus several matches including this one had to be called off. Aleksandar Mitrovic scored his third goal in as many games as Fulham beat Derby County to secure a 10th win in 13 matches and leapfrog their promotion rivals into fourth. As expected, the in-form visitors stormed to a 2-goal lead by the stroke of half-time. The could easily have added to their lead against a Derby side lacking in confidence, with Mitrovic and Floyd Ayite both proving wasteful in front of goal during their dominant first half display. Tom Huddlestone did manage to pull one back for the hosts at Pride Park stadium but it proved to be but a mere consolation as they find a way past the resolute Fulham backline. We had gone for an away win with Fulham’s drive towards’ promotion as the key motivator. This one really threw form book predictions to the curve as Preston North End ran riot in the last minutes to secure a crucial win for them. Bolton took the lead early on when David Wheater’s initial header was scrambled away but Mark Beevers buried the follow up. Preston then levelled just after the break when Tom Barkhuizen latched on to Callum Robinson’s pass to slot home. He was making his first appearance since injuring his knee in November. We had gone for draw as Bolton have proved to be solid at home and the almost identical post-match stats with both teams having 4 shots on target speaks volumes. However, the Maguire instant impact off the bench was what tipped it. A pitch inspection at Oakwell early Friday afternoon confirmed that a week of snow and freezing conditions in South Yorkshire had taken too great a toll for this game to go ahead. Storm Emma reared her spiteful head again leading to the cancellation of the match. Club officials met early on Friday the 2nd of March 2018 morning to discuss the chances of Saturday’s game going ahead, following a week of freezing temperatures in the town. While the pitch had been protected since Monday, the cold weather left many areas in and around Portman Road dangerous for supporters, and thus both parties agreed that postponement was the best option available. 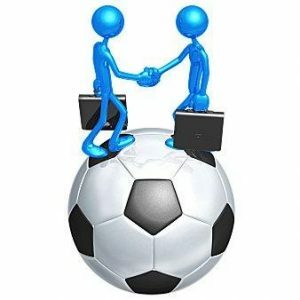 The two clubs agreed on a provisional date of Tuesday, March 13 to play the game, with the EFL yet to confirm the date. This pair of Bundesliga top-four rivals had to settle for a share of the spoils with a 1-1 draw at the Red Bull Arena. A high scoring affair was expected and Dortmund had two goals ruled out for offside. Leipzig — beaten by bottom club Cologne last weekend — took the lead on 29 minutes through Jean-Kevin Augustin. The visitors soon levelled when their recently recovered star player, Marco Reus rounded the goalkeeper and neatly slotted home. Neither team was able to conjure a winner during a scrappy second half, but Dortmund January loan signing from Chelsea, Michy Batshuayi somehow missed an open goal just after the hour mark despite his recent eye for goal since his move to the Bundesliga in January. We had gone for an away win as the returning Marco Reus and new signing Michy have been in scintillating form. A goal from the latter in and around the 60th minute could have changed the total outlook of this one. This was a crucial encounter in the relegation battle, and to the surprise of many, bottom club Metz took the lead just after the half-hour mark when Matthieu Dossevi’s cross from the right wing found Nolan Roux, arriving unmarked, to head home from six yards out. The home side were then reduced to 10 men three minutes before the break as Julian Palmieri was shown a straight red card for a crunching off-the-ground with studs showing kind of tackle on Max-Alain Gradel. Toulouse eventually equalized with just five minutes remaining. Firmin Mubele, on as a substitute, made it to the byline before cutting the ball back for Amian, who fired in off the underside of the bar to ensure that the spoils were shared by both teams as we had predicted. The score line may portray a convincing home win but it was far from it. The away side enjoyed the lions share of possession at 65% but failed to make it count. Angers were a goal up inside the 1st minute but had to wait till injury time to score both their second and third goal to seal the tie. It was a scrappy affair after the 1st goal and despite several shots on target by the visitors, the net just wouldn’t budge. Their wastefulness was punished in the dying minutes when Karl Toko Ekambi scored in the 90th minute to make it 2-0 closely followed by the final goal scored in 90+4’ minute of added time by Ismael Traore. We had picked a draw as the potential result bearing in mind that both clubs were in a slump but the home side claimed a vital 3 points thanks to their resilience coupled with wastefulness in dangerous areas by the visitors. The hosts have no one to blame but themselves on this one as their profligacy in front of goal especially in the 1st half proved costly. Strugglers Amiens were hovering just above the relegation zone as they prepared to host top-half Rennes on Saturday night. The home team, promoted from Ligue 2 last season, sat 15th on 29 points, one point above Troyes in 18th with 11 games left to play. For much of this season Amiens were the best performing team out of all three sides who came up from the second tier. This showed as they were quicker off the mark in this topsy turvy encounter with 2 glaring misses in the 1st half. Rennes managed to address their lack of goals from last season, mainly due to the creative influence of on loan midfielder and Tunisian international, Wahbi Khazri, who had scored eight times in 16 games prior to this match. He hit the woodwork after a sublime free-kick in the 1st half and it was a sort of pre-cursor of what was to come as minutes later, he expertly beat his man to open the deadlock. Ismaila Sarr’s individual moment of brilliance sealed the 3 points for the visitors in the 86th with a goal worth watching over again that left the opposing keeper rooted to his spot. With the home side needing a point at all costs as they battle for survival, we picked a draw as the potential outcome but 2 moments of individual brilliance proved to be decisive. Catch the match highlights below. It really was back-to-wall time for Levante, whose 6-year stay in the top flight is in serious danger of ending. They were 5 points adrift of safety with only 6 games to play prior to this one and they really had to win to put some pressure on the sides above them and give themselves some momentum going into next week’s crunch clash with 17th placed Granada. However, Espanyol had looked better going forward in recent weeks needed just one win to guarantee the Catalan club safety in the La Liga. It ended up as a drub affair with Levante drawing first blood courtesy of a penalty that went past the substitute keeper with aplomb. Lopez, Espanyol’s 1st choice goal keeper had to be stretchered off after a clash of heads. The Catalan club made their technical superiority count in the very last minute of the game with an equalizer. We had an away win as our pick based on technical superiority and current form but the fact that Levante were battling for survival meant they were hungrier and could thus explain the result. Catch all the match highlights on the link below. Coming into this Russian capital derby, the hosts had been a on an unbeaten run in their last 5 fixtures with 4 wins and 1 draw while the vistors had lost 2 of their previous 5. However, when it comes to derbies, form often flies out the window as the team that finds the right balance between passion and composure carries the day. We picked the hosts as potential wins of this one based on them being the runaway league leaders as well as the brand of football they play. They however went on to share the spoils on this one. Fiorentina captain Davide Astori’s shock death led to all Serie A matches being postponed. The 31-year-old was found dead in his hotel room in the early hours of Sunday morning ahead of Fiorentina’s clash with Udinese. His former side Cagliari were due to face Genoa but the match was postponed just minutes before kick-off as the news filtered through. The two sets of players were out on the pitch warming up but left in tears after discovering the devastating news. Italian Players Association chief, Damiano Tommasi called for all matches to be cancelled. Which explains the ‘PP’ (Post-Ponded) in the Italian matches that were part of the Sportpesa Megajackpot. Astori, who started his career at AC Milan, enjoyed a 12-year career in Serie A. He spent six years with Cagliari, making 174 appearances for the Sardinians during a six-year spell. Their game with Genoa on Sunday morning was also called off. In 2014 he joined Roma on loan, before joining Fiorentina the following year. This has to go down as our match of the weekend. It was a fantastic match, and it actually started very positively for the home side with Claudio Pizarro scoring the opener in the 7th minute. The visitors then rallied to score two goals in under two minutes just on the half-time mark to go in leading at the break. Andreas Beck made it 3-1in favor of the visitors just before the half-hour mark only for the hosts to rally back late on in the second half. Milos Jojic deservedly pulled one back for the hosts in the 86Th minute to set up a nail-biting final few minutes. Stuttgart managed to hold on for the crucial 3 points leaving FC Koln with a mountain to climb as they battle for survival. We had gone for a draw as FC Koln despite their league standing have proved to be a real force at home. Couple this with the fact that Stuttgart hold the joint worst away record in the Bundesliga (W1 D2 L9) and a draw seemed the most likely outcome. However, the rapid 2 goals just before the halftime whistle, with one gift-wrapped by the FC Koln keeper proved to be decisive at the end of the day. Catch all the highlights of this scintillating match on the link below. That’s it for this week’s Sportpesa Mega Jackpot predictions and post-match analysis. We may have lost some, but this only puts us in a better position to do even better next time around as each and every result has served as a lesson on factors to consider. 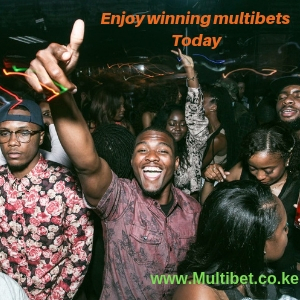 Have a look at our Sportpesa today games prediction by clicking here.